Holy smokes, this is a BIG post you guys. I know many of you drop by first thing in the morning, so you might want to grab an extra cup of coffee for this one. 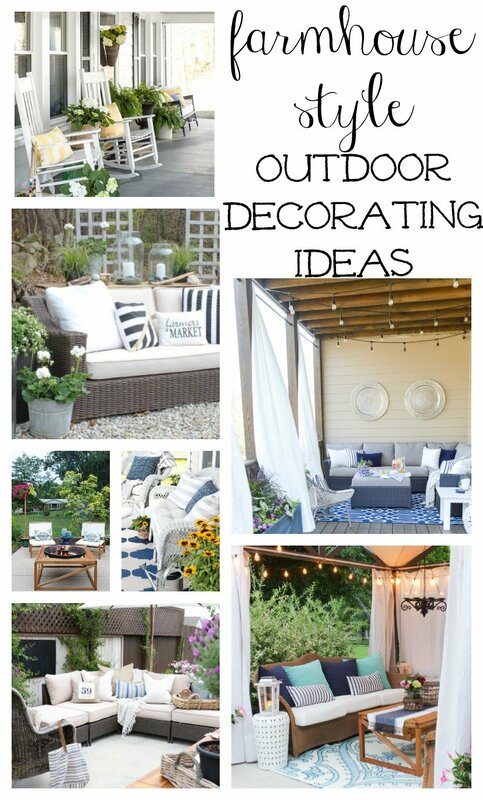 Today I’m sharing tons of farmhouse style outdoor decorating ideas and a complete shopping guide to go along with it. 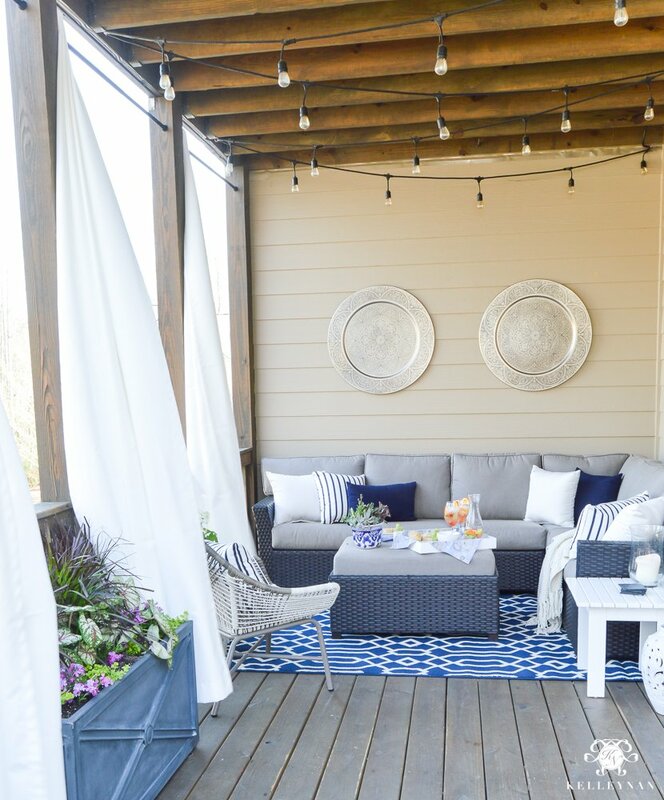 I have this broken down into two sections: the first part is a great roundup of farmhouse style outdoor decor, all of which is gorgeous and sure to get you dreaming about creating your own outdoor oasis. 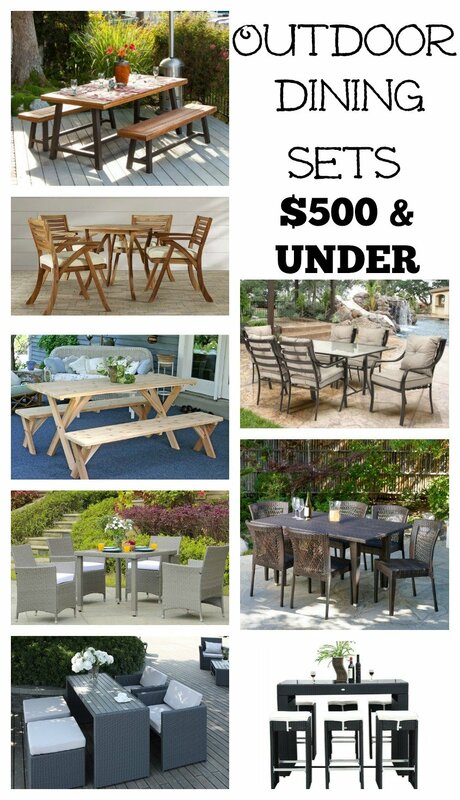 And the second part of this post is a shopping guide for farmhouse style outdoor furniture. Whew, that’s a lot right? I’ve actually had a few requests for this post, so I figured I might as well make it a good one and include everything in one. 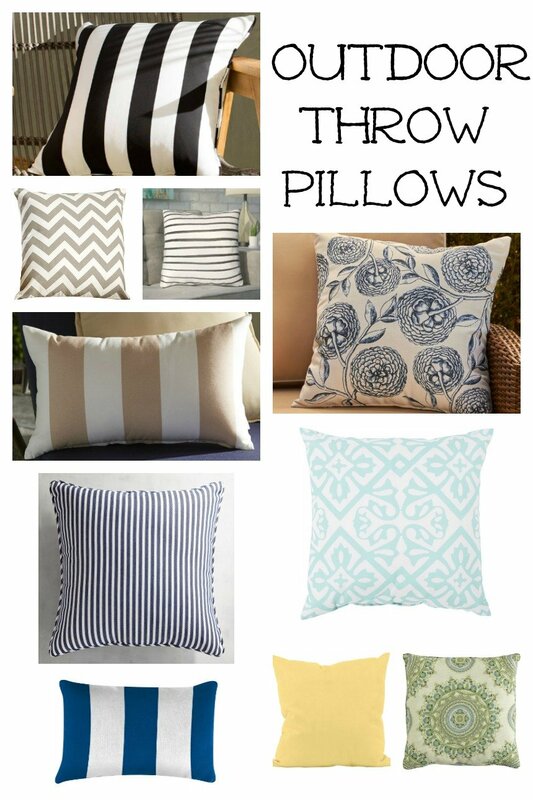 I hope this helps if you’re starting to decorate your patio or porch for warmer weather! Ok, let’s get started with some outdoor inspiration. First up is this stunning front porch from Bless’er House. 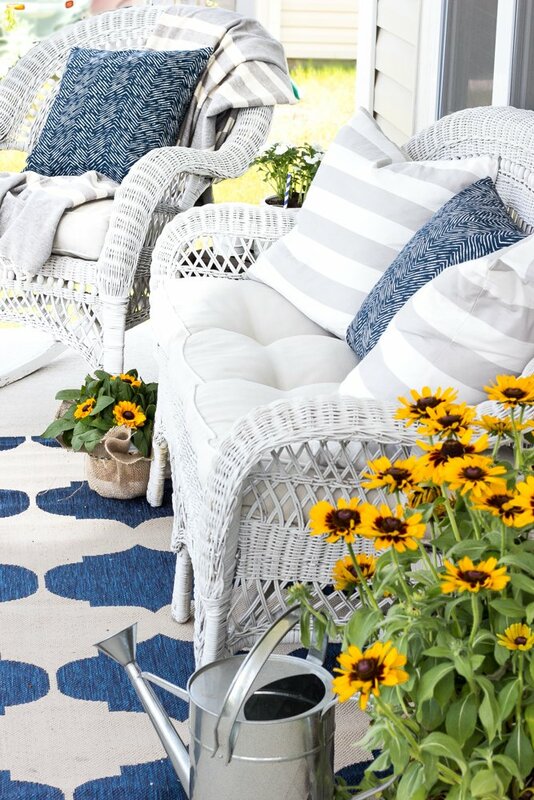 I love the fun rug, white wicker furniture, and of course those gorgeous flowers. Simple, but so beautiful. 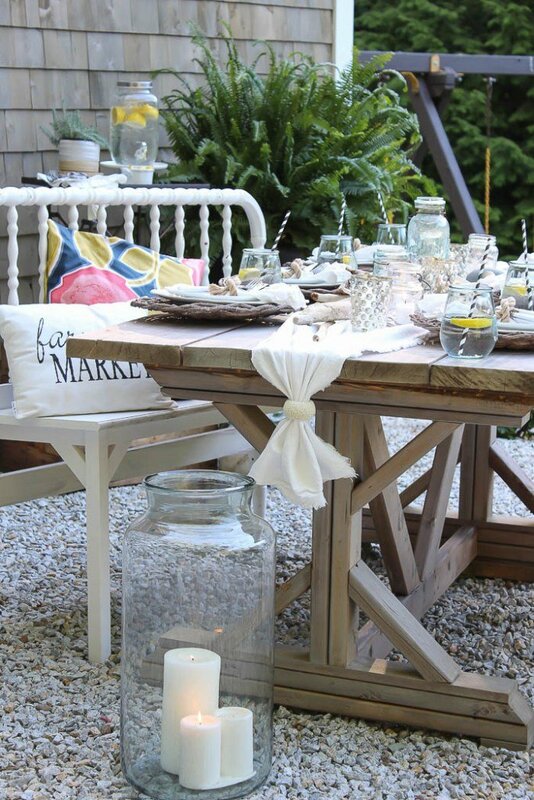 Gorgeous outdoor dining space from Rooms for Rent Blog. Cozy seating area in a beautiful, happy setting from Migonis Home. 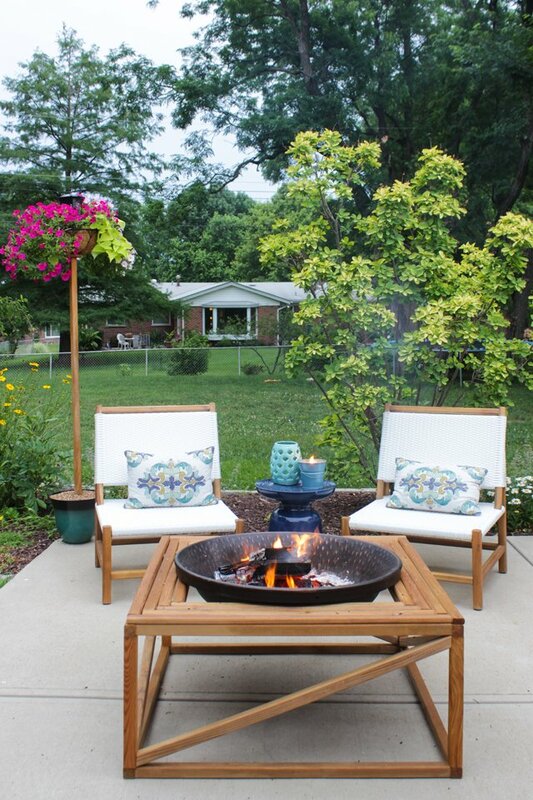 I absolutely love this fire pit seating area from Shades of Blue Interiors. 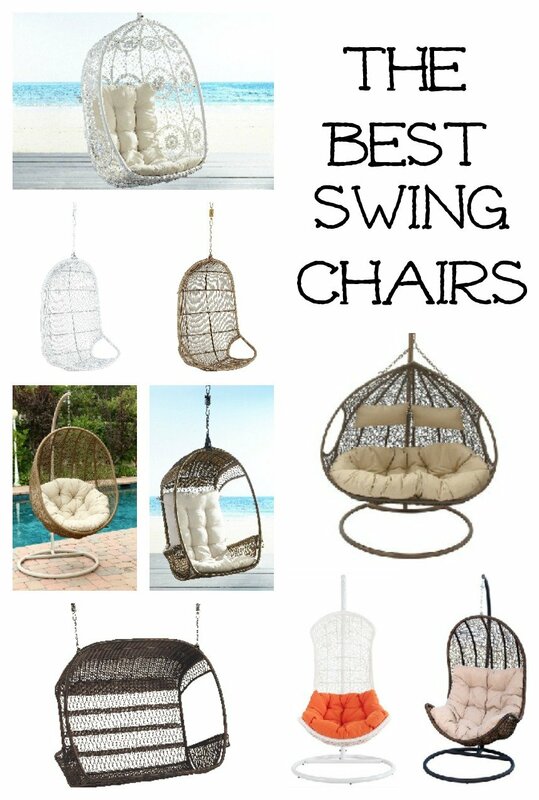 Great for a small space! You guys, tell me how inviting this looks! I could spend all afternoon right here with a glass of sweet tea. This is another gorgeous shot from Shades of Blue Interiors. This porch from Kelly Nan literally took my breath away when I saw it. THIS is outdoor living at its finest. 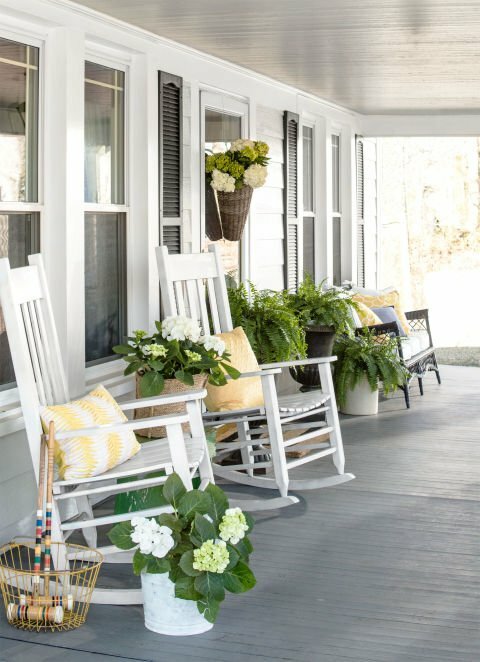 Sometimes all you need is a set of wicker rocking chairs and some fresh flowers to source up your front porch. I’ll take it! Source: Country Living Magazine. 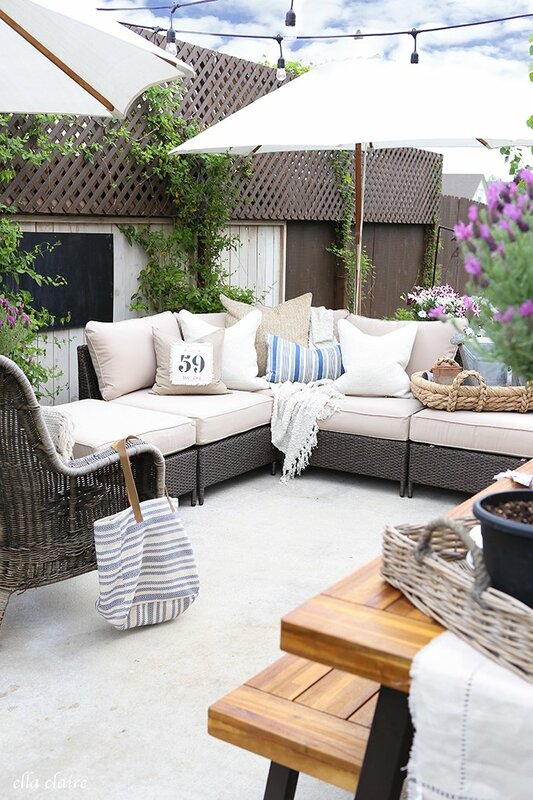 This shot is from an incredible patio makeover from Rooms for Rent Blog. How cozy does that couch look?! I need a nap right there. And a margarita. It’s honestly hard for me to choose what I love most about this photo. I mean, C’MON. 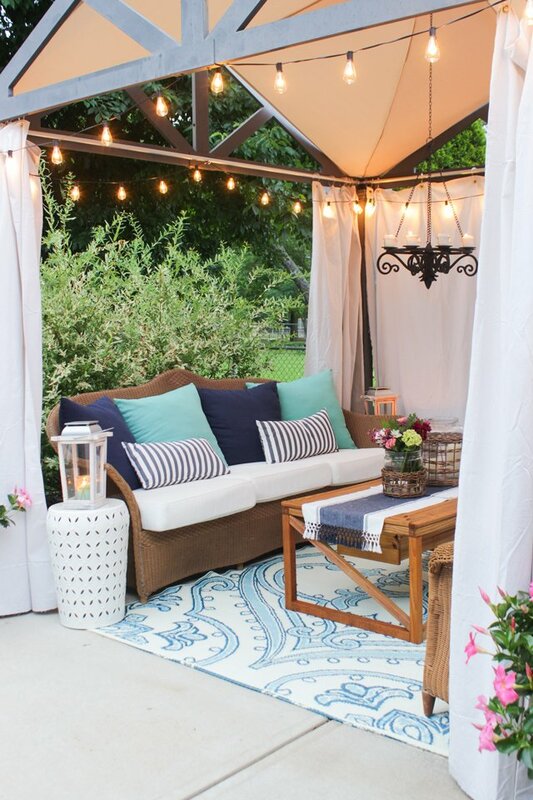 This beautiful patio from Ella Claire Blog is magazine worthy. 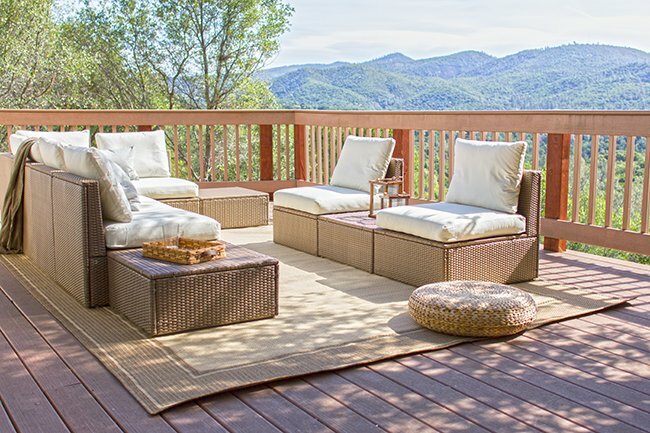 Ok, not only is this view absolutely breathtaking but I LOVE this outdoor furniture. 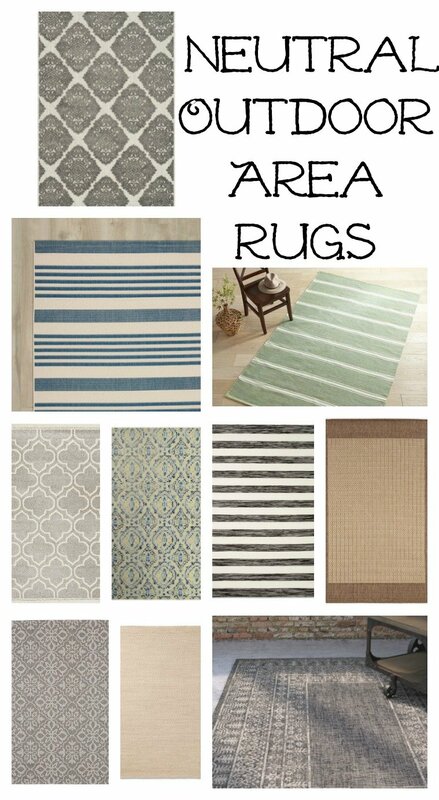 The rug, the versatile seating, the puffy cushions. It’s all lovely and it’s from Jenna Sue Design. All righty, now that we have some inspiration let’s move on to the shopping guide part of this post. 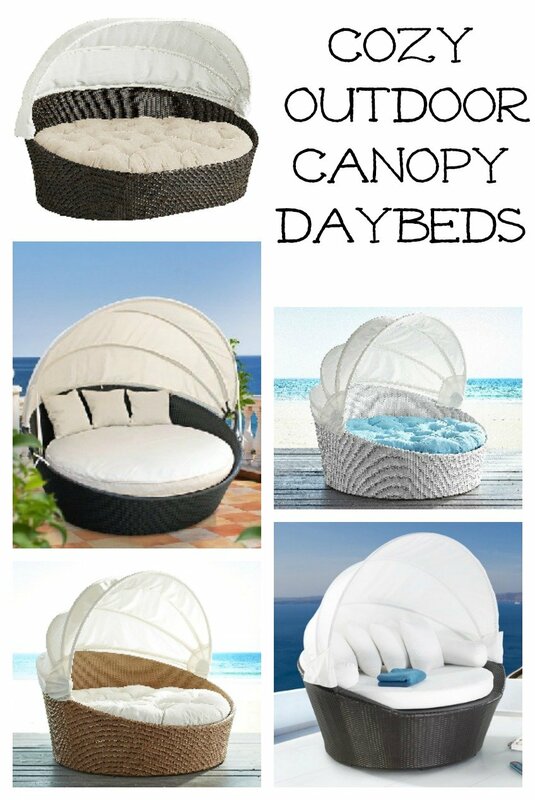 I’ve broken this down into a few different categories: patio sets, outdoor area rugs, dining tables, throw pillows, fire pits, swing chairs, and I threw in canopy daybeds just for fun. Enjoy and happy shopping! Okie dokie, that’s it for my farmhouse style outdoor shopping guide! I had so much fun putting this together and I could easily keep going and going with all this awesome outdoor furniture, but I’m making myself stop here before things get out of hand! I hope this post gave you some inspiration and ideas for your own space. I don’t know about you guys, but I’m sooooooo ready for warm weather, BBQ’s, and lots of time spent on our back patio. 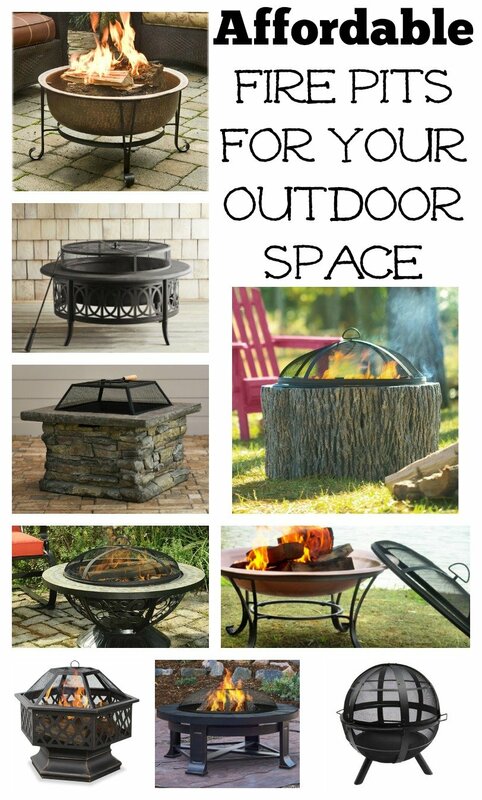 Bring on the the long nights and outdoor living. I can’t wait! I love the front porch with the wicker and the Kelly Nan porch? Oh my. 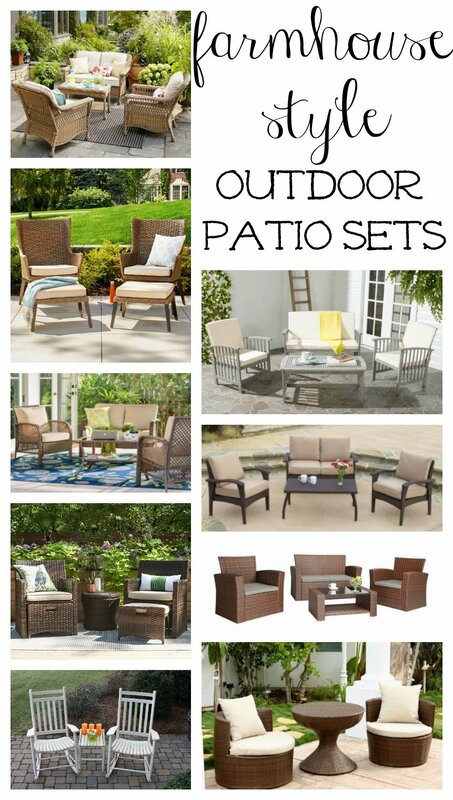 I love a good outdoor setup and all of these are great! Right Kelsey?! Kelly Nan nailed it for sure with that porch. Swoon-worthy! 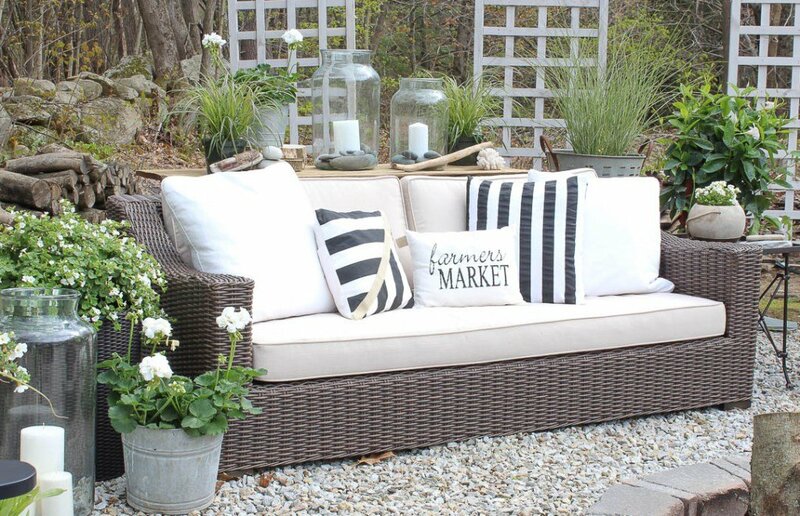 What a great post – if all works out we will be screening in our back patio this summer and Ill need some inspiration to get it all gussied up! Ohhh how exciting Marilyn! My parents screens in their back patio years ago and LOVE it. LOTS of nice things! Thanks for the inspiration and links! 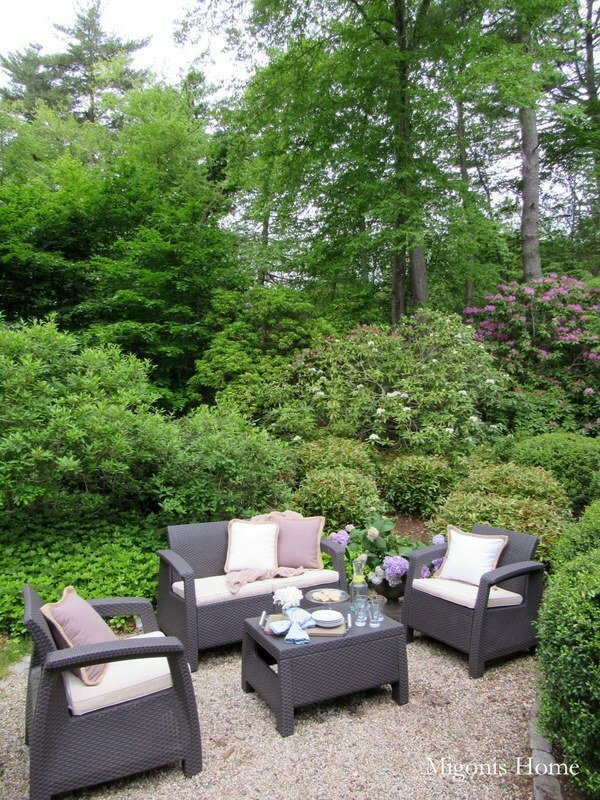 I really like a lot of the examples of outdoor living spaces this article shows. I’ve been wanting to make a comfortable outdoor living space in my home and I think something like the bottom examples could be nice. Along with the furniture and tables, various yard decorations could be nice to help improve the look of the lawn that we look out at in the backyard. So glad you enjoyed it, thanks for dropping by!